Winning Techniques Camp offers an opportunity that is unique to the summer camp world, and is ideal for parents with younger campers. 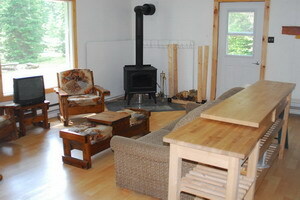 We have 3, 2 bedroom cottages and 3 campsites that are available to rent while our summer camp is taking place! This allows kids to have fun participating in our day or overnight camp programs while their parents are close by. While the campers are off enjoying their camp experience their parents can also spend some time relaxing and enjoy a wonderful vacation at the same time. Winning Techniques Camp strives to make your stay with us both comfortable, and pleasant from the moment your family arrives. 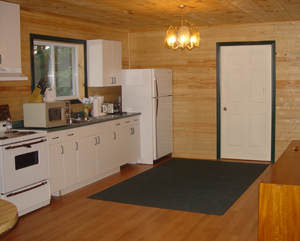 All of our cottages have kitchens that are fully equipped with a fridge, stove and coffee maker. They also include a fire pit and picnic table. 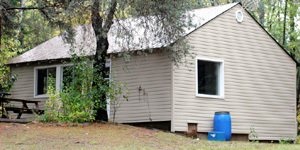 We are located on a picturesque 23.5 acre site 15 minutes north of Huntsville, Ontario. Beautiful Clear Lake provides the perfect backdrop for a summer full of exciting, and rewarding camp experiences.